LINCOLN, Neb. – In 2017, a record 209 active bald eagle nests were estimated in Nebraska by the Nebraska Game and Parks Commission. Bald eagles were on federal and state endangered species lists as late as 2007 and 2008, respectively. 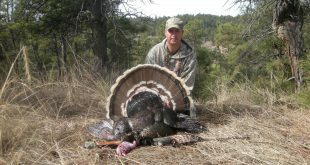 In a little more than quarter century the species has gone from a nonexistent breeding species in the state to one that is relatively numerous, according to Joel Jorgensen, Nebraska Game and Parks’ nongame bird program manager. In the early 1980s, when federal recovery plans were written to save populations in the lower 48 states, the recovery goal for Nebraska was set at 10 breeding pairs. In 1991, Nebraska recorded its first active and successful bald eagle nest in approximately a century. In 2012, the number of active nests surpassed 100. Five years later in 2017, the number of known active nests increased to an estimated 209. The total exceeds 2016’s record of 162 active nests and represents a notable 56 percent increase from the previous year. The large number of nests now present in the state was the impetus for the Commission to adjust its survey methods in 2017 in order to reduce its resource commitment and improve efficiency. The Commission devised an innovative approach, in which biologists surveyed only a proportion of known nests and then extracted information from its extensive database, as well as other sources, to generate a reliable estimate for 2017. “With a growing breeding population that is increasingly secure, there is a need to become more efficient with the limited resources used to monitor bald eagles,” Jorgensen said. The new survey methodology is planned to be used in future years.